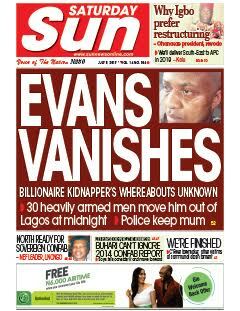 Saturday Sun has gathered that Evans is not dead as his family now fears but has been moved from the Lagos police command headquarters cell by about 30 heavily armed men at midnight few days ago to an undisclosed destination. 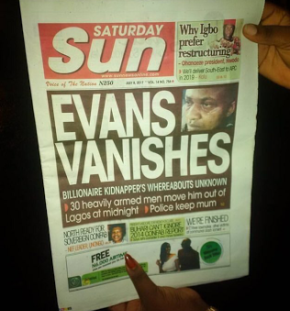 Some senior police officers in the know told Saturday Sun he was moved to Abuja Indeed, in the last few days, a palpable silence seemed to have enshrouded the Evans phenomenon. Where is Evans? 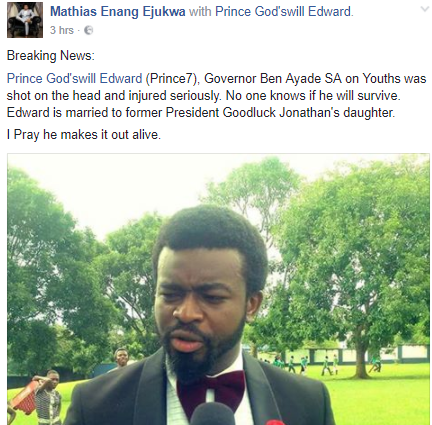 It is a question the police is not prepared to officially answer right now. A man who hitherto divulged the details of his criminal life to the public almost on a daily basis is suddenly no longer accessible to even the press corps. All a Saturday Sun reporter who visited the state police command was told was that Evans is no longer allowed to talk to the press till further notice. The secrecy surrounding his whereabouts in the official quarters baffles those who have closely followed his story since his arrest. 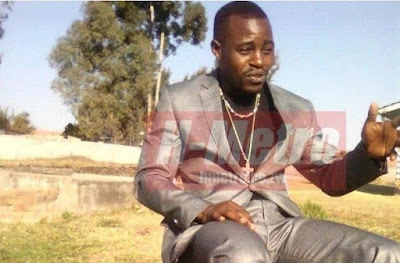 Police had last week said they had got a court order to detain him for three months to give them enough time to complete their investigation. 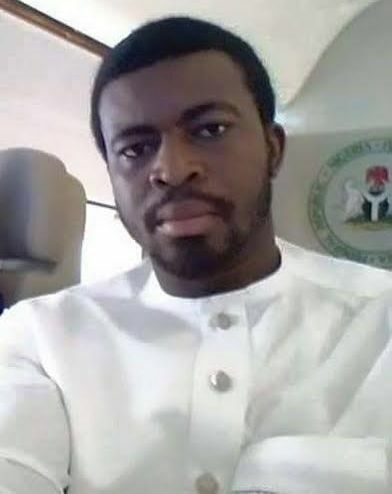 This followed two suits filed by Evans lawyer, Olukoya Ogungbeje, at the High Court seeking his release and claiming N300m damages from the police. Some senior police officers who spoke to Saturday Sun on condition of anonymity expressed fears that Evans might not make it to the court. They argued that he might plot his escape from prison, or get across to some of his members who are still on the run. Their concerns are not farfetched, given that several inmates in the past had reportedly committed much heinous crimes even while in prison. 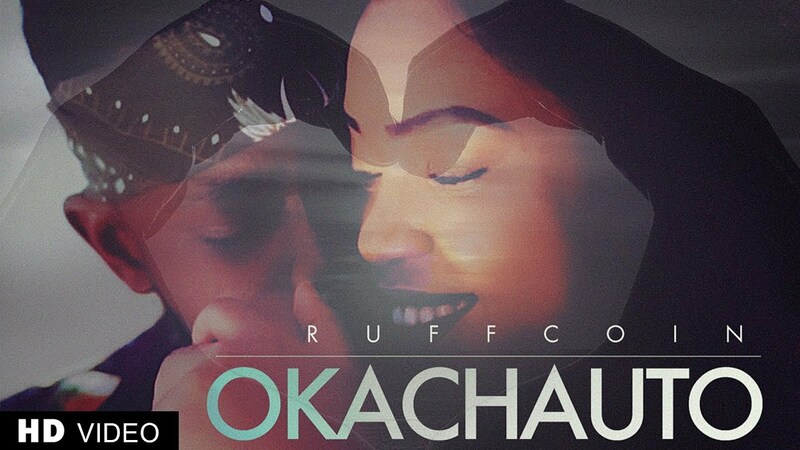 Indigenous veteran, Ruffcoin drops the visuals to his latest single “Okacha Uto“, off the “Made In Aba” album. 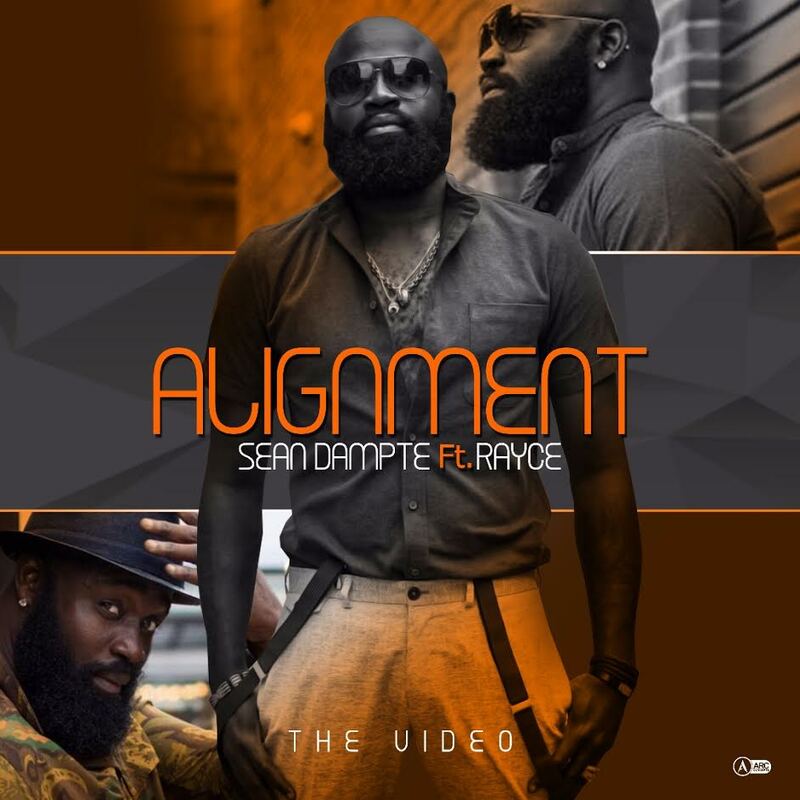 After the success of its strong audio release earlier this year, and support from Lagos & London , along with other leading African music taste makers, fast-rising Nigerian international artist Sean Dampte is proud to unveil the exciting new music video for his hit single ‘Alignment’. Shot in Nigeria, and directed by Matt Max, the vibrant visuals for ‘Alignment’ are a stunning classic, yet tasteful enduring storyboard, and the video captures Sean Dampte in his true element, highlighting his star power, charismatic persona and performance prowess. 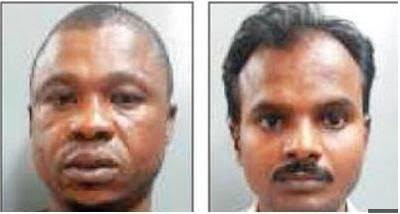 A 45-year-old Nigerian national and his local accomplice were arrested by Bengaluru Cyber Crime Police, India on Wednesday, July 5, for committing car fraud through declassified ads site OLX . Augustin Anyeva Peter, who came to India on a 15-day travel visa, took photos of luxury cars parked in posh areas of the city and posted the images on OLX, pretending to "sell" the cars at very low rates and accepting advance payments from prospective customers. He and his gang snapped pictures of high end cars parked outside malls and hotels and uploaded the images on OLX and attracted customers with a reasonable to very low selling prices. A 35-year-old local resident was also arrested in connection to the fraud case. Police booked Jagadish Kumar of KR Pura for activating a SIM card with duplicate address provided by Augustin. Augustin used many duplicate addresses to open bank accounts. He'd given the same photo to all banks with different names. 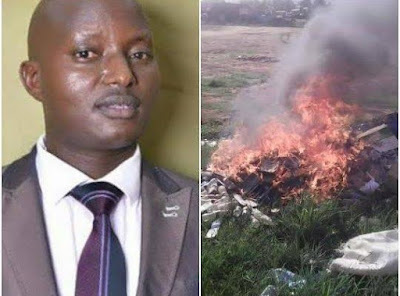 When customers called Augustin to enquire about the car sale, he would spin a lie and tell them he was a foreign student who had just completed his education and would be returning to his native country, so he's looking to sell his vehicle. Taken in by the Nigerian's tale, customers transferred advance money into his bank account. As soon as he received the payment, Augustin would debit the amount and deactivate his SIM card. Los Angeles-based photographer Michael Miller has filed a lawsuit against Kylie and Kendall Jenner for copyright infringement over the use of his photos of the late Tupac Shakur on T-shirts sold under their Kendall + Kylie brand, according to court documents obtained online. 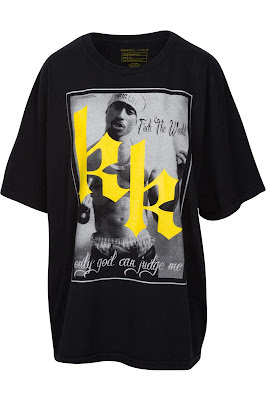 The suit, filed in federal court in California on Friday, says that Michael Miller, described as “a renowned professional photographer with a remarkable body of work” , “at no time sought to associate his work with Kendall or Kylie or any of their companies, yet they "have misappropriated and wrongfully exploited at least two original photographs of late hip-hop artist Tupac Shakur, slapping the iconic photographs on garments and overlaying them with dubious imagery and text," then offered them for sale. 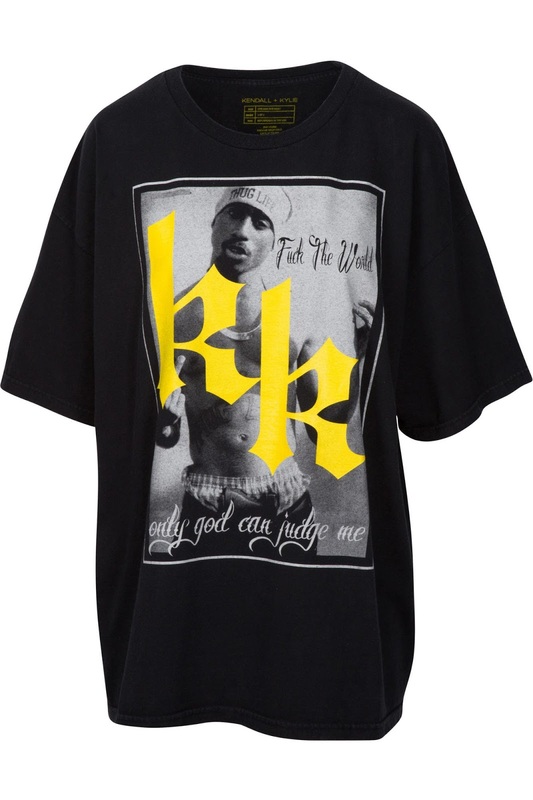 Adding that they ripped off his photos of Tupac Shakur for their since-pulled line of shirts. Nonetheless, the suit continues, the Jenners misappropriated two photos he took of Shakur. 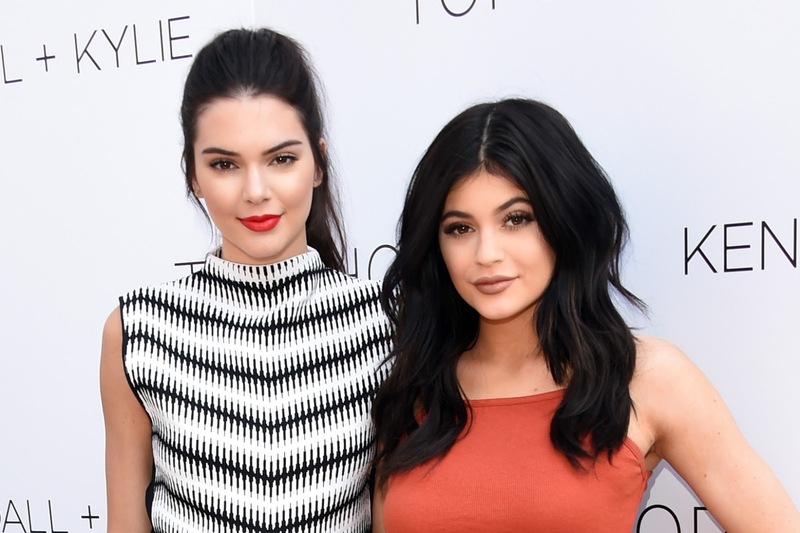 The Jenners pulled the T-shirt line, which featured images of Shakur, Biggie Smalls, Ozzy Osbourne and other artists, shortly after introducing it, after widespread criticism. The complaint was submitted by Miller's attorney, Scott Alan Burroughs.